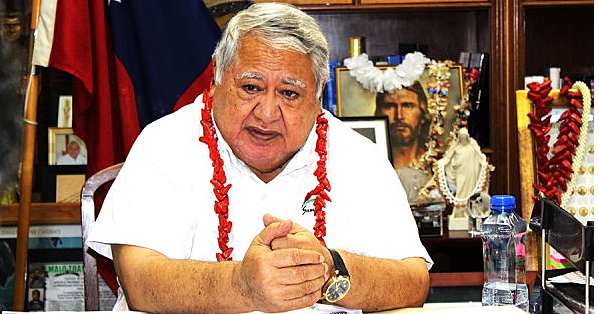 Two weeks ago, Prime Minister, Tuilaepa Dr. Sa’ilele Malielegaoi, issued what appeared to be a veiled threat against the media, particularly this newspaper. It happened when he told the Public Service Commission (P.S.C.) and the Police to investigate where, how and whom in Government circles was leaking “confidential information” to the Samoa Observer. In other words, the Prime Minister wanted to know the source or sources of information, from which stories highlighting questionable conduct within the public service; are based upon. According to the Prime Minister, it is the P.S.C’s function to investigate claims of wrongdoing against public servants from time to time, adding that such investigations must be thorough and comprehensive. For that to happen, the content of the investigation and the nature of allegations made against the people being investigated should be safeguarded and protected. Which is not what has been happening. In this particular case, the Prime Minister’s order follows the recent leakage of P.S.C. charge sheets, revealing different P.S.C. charges against senior officials of the Ministry of Justice and Courts Administration. For the uninitiated, the charge sheets reveal some pretty serious allegations against very senior public officials in this particular ministry. They range from alleged abuse of power, abuse of positions, misuse of resources to sexual harassment and more. They paint a grim picture of not just the Ministry in question but the Government as well. Fair enough. But then Prime Minister then turned on the Samoa Observer. The Samoa Observer – or any other serious investigative media outlet - would never entertain the idea of offering money for information. It has not happened and it will never happen. We also want to point out that while sources are the lifeblood of a newspaper, the relationship is a two-way street. While the media will always be interested in the information – confidential or otherwise – to fulfill its role of adequately informing its audiences, sources leak them because they too feel that members of the public have a right to know. This is especially in cases where public monies, resources and positions of influence and power are involved. The ongoing investigation at the Ministry of Justice and Courts Administration is one such case. And so do many other cases in the public service where information has been leaked to the Samoa Observer – and the media in general – over the years. Ladies and gentlemen, this is what happens in a normal democratic society. The media exists not only as the fourth estate, it is also there as the watchdog of the Government to ensure accountability, transparency and good governance. Now when someone in a position of leadership wielding enormous power and influence such as the Prime Minister starts giving orders to find sources, the alarm bells immediately begin to ring. What is the Government trying to hide? And whom are they trying to protect? An individual’s right to privacy is one thing but the cost of abuse, neglect and misuse of public monies and resources is quite another. And far too often, this cost and its knock-on effect is swept under the mat and kept there because of these so-called confidential investigation and reports. This continues to encourage wrongdoing and unacceptable conduct in the public service. What’s worse is that the consequences of such abuse on silent and submissive taxpayers are enormous, affecting thousands of lives all the way down to the poorest and most vulnerable people of this country. The point is that of so many useful things the Government could utilise the P.S.C. and the Police for, why should they waste their precious time and public resources on a manhunt to corner the source or sources of information for a newspaper? Wouldn’t it be better for the P.S.C. to continue to investigate the many claims involving abuse of power, resources and corrupt practices within the public service? Shouldn’t the Government be more concerned about the cost of corruption and how much it hurts members of the public? As for the Police, don’t they have one of Samoa’s most dangerous convicts still at large? Have they not already got their hands full with all the thieves, robbers, rapists and other criminals hurting innocent members of the public to deal with? Wouldn’t that be a better use of public resources and personnel – as opposed to an investigation to find out who is leaking information to the media – in particular the Samoa Observer? Lastly, say they find the source, what then? How will that solve all these problems that have been exposed through the information leaked? How will that recover all the money allegedly lost? What about the heartaches and headaches caused by misconduct and abuse of position and power? Shouldn’t that be the focus of the P.S.C. and the Police investigation instead?